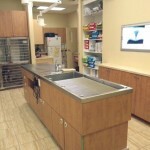 Take a look at our Mississauga, ON Veterinary Hospital! Our reception area is always clean and bright, with plenty of seating for pets and owners alike. 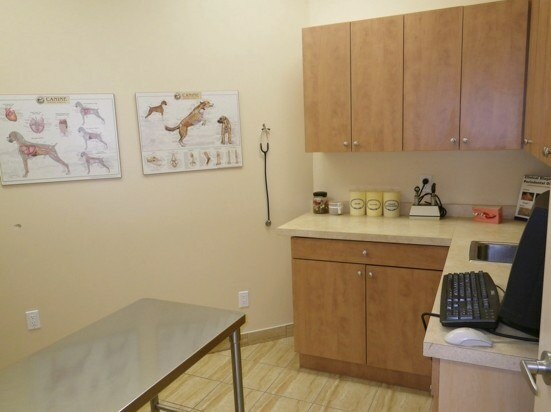 Over the counter products including shampoos, dental hygiene products, as well as veterinary diets (primarily Medi-Cal Royal Canin and Hill’s Prescription Diets) are available for purchase. 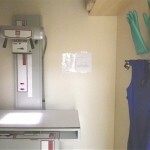 We have two spacious exam rooms. 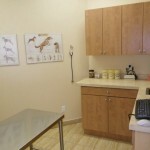 This is where your pet will come for his or her check-up, and usually receive a treat or two! 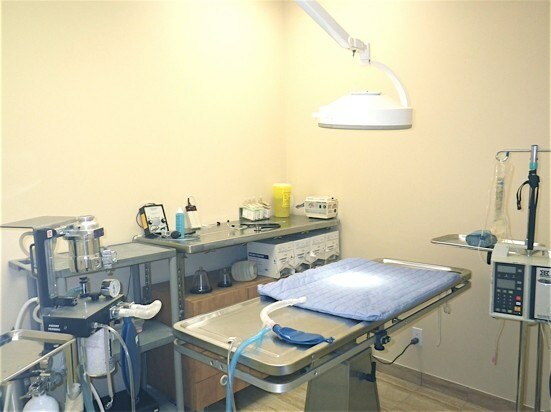 Our treatment area is where procedures such as blood collection, and dentistry are performed. Sick animals or surgery patients are closely monitored by staff, IV lines and pumps are maintained, and medications are given here. 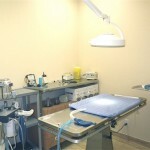 Our surgical suite is where all of our sterile surgeries are performed. A Doppler blood pressure unit, and oxygenation monitor are used for all surgeries to ensure a safe anesthesia. A special warm water blanket is used underneath surgery patients to keep them warm throughout anesthesia. 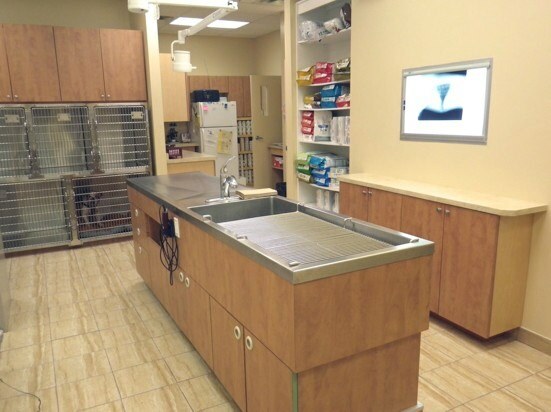 The Heartland Pet Hospital has a fully equipped radiology suite where radiographs (X-Rays) can be taken of your pet, and developed using our automatic processor. 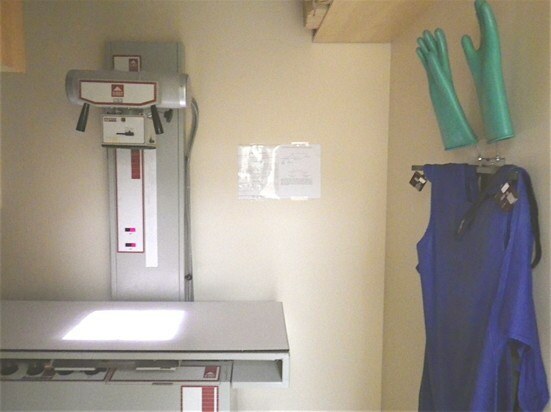 Radiographs can be developed and interpreted by our veterinarians while you wait when needed, to reach a diagnosis as soon as possible. 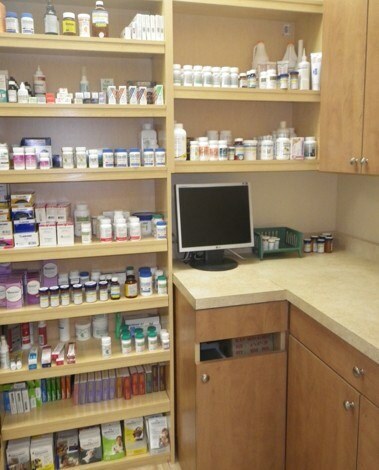 Our pharmacy is fully stocked with all of the common medications your pet may need, although occasionally we will have to specially order through the veterinary compounding pharmacy. 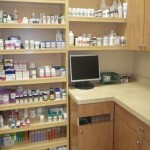 Please renew prescriptions at least a few days in advance so that we may have them ready for pickup when you arrive.